The logistics industry is often criticised as being one of the worst polluters of the environment due to the amount of greenhouse gases it produces. Wooden pallets in particular have come in for considerable criticism for being environmentally unfriendly. What are the manufacturers of wooden pallets doing to improve this situation? Could they do more? One of the biggest consumer trends this decade, and one that looks set to continue, is the rise in e-commerce and the home delivery service. Customers purchase goods online and want them delivered as quickly as possible – next-day delivery is a big selling point. In order for these deliveries to be made promptly, we need efficient logistics companies. These companies must package and deliver goods not just in industrial or commercial quantities, but in small amounts for the individual consumer. The problem is that as well as wanting fast and reliable deliveries, customers also want green values to be considered. Commercial freight transport is responsible for 15% of greenhouse emissions in the developed world. How can the pallet, packaging and transport companies provide an efficient modern service at the same time as reducing their carbon footprint and minimising their impact upon the environment? Wooden pallets were criticised for several reasons. They are less durable than plastic pallets and so need replacing more quickly, although of course they are fully and organically biodegradable. Wood pallets are also heavier than plastic pallets, and so transporting them uses more fuel and more energy. Wooden pallets are best suited to carrying items in bulk – not a range of differently sized and shaped individual packages. This makes them less suitable for individual delivery companies. Developments and improvements in modern technology mean that packages are easier to track and transport is easier to plan. With the rise of e-commerce and smaller deliveries has come an increase in the number of distribution centres close to large cities. These centres use computer technology to track packages, and they can cross-pack and redistribute packages for individual deliveries from bulk orders. This means that wooden pallets can be used to deliver large numbers of items to the distribution centres, and the individual orders can then be sent on. Pallet manufacturers have also worked hard on improving the wooden pallets price, cost-efficiency and environmental impact. Wood pallets are inexpensive and ecologically friendly to produce. 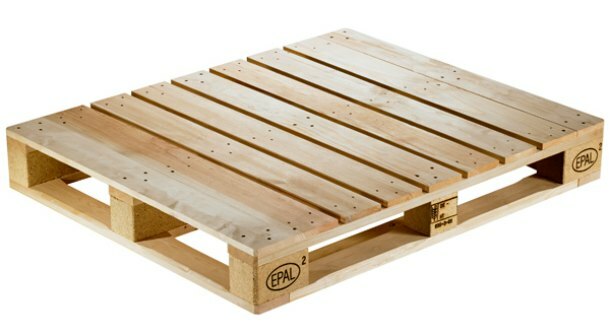 In our highly technological world, the simple wooden pallet can seem redundant, but it is organic, reusable, easily mended and 100% biodegradable. Used in conjunction with plastic pallets and modern technology, the wooden pallet is still a useful distribution tool.